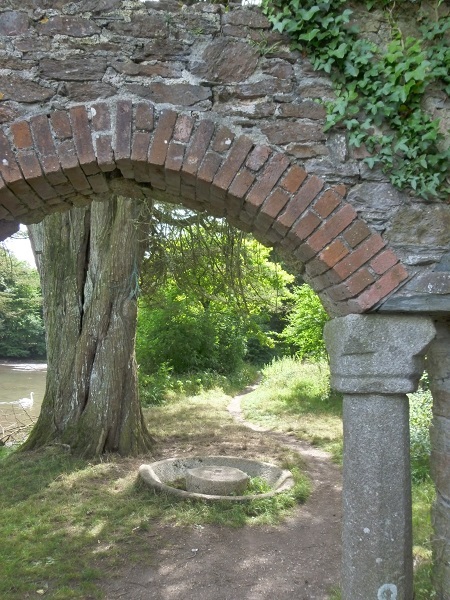 Rollis Park ~ Oreston, Plymouth. 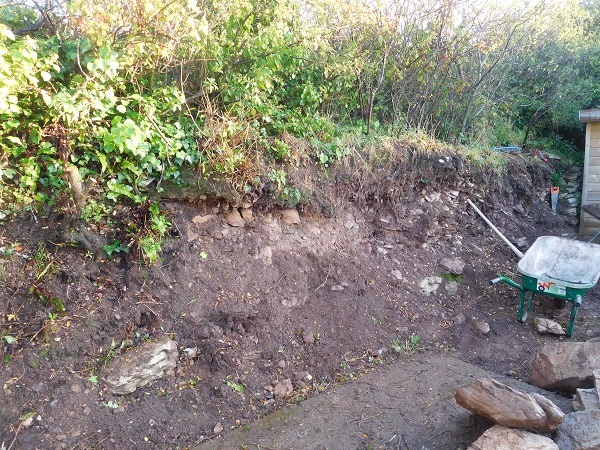 A retaining wall in the back garden of a property in Oreston had seen better days, overgrown with vegetation and sections falling away, it was decided to take the whole wall down and completely re-build it. 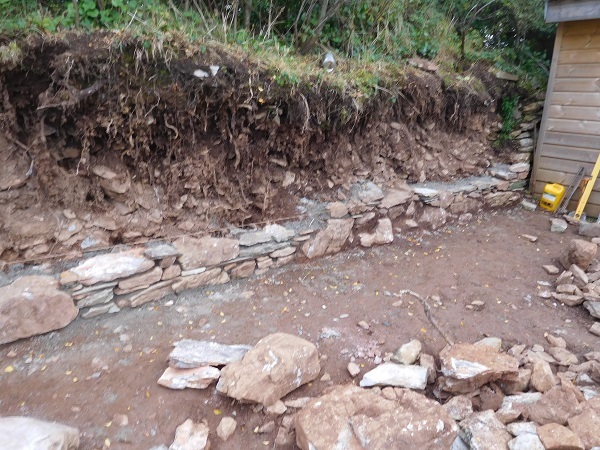 First we had to salvage as much of the original stone as possible, set it aside for re-use and then dig back the bank in preparation for the new wall. 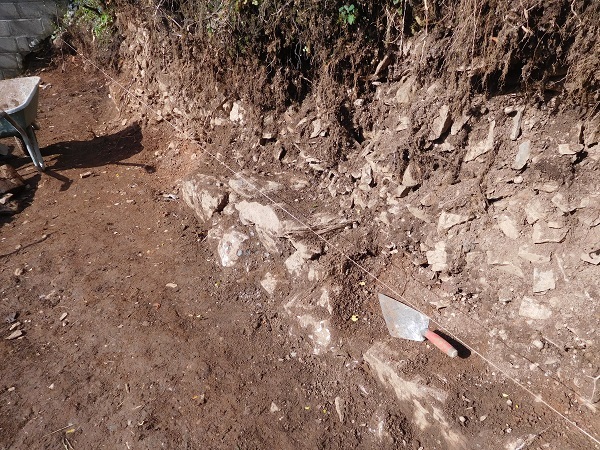 Once prepared, a line was set up and we started laying the stone. 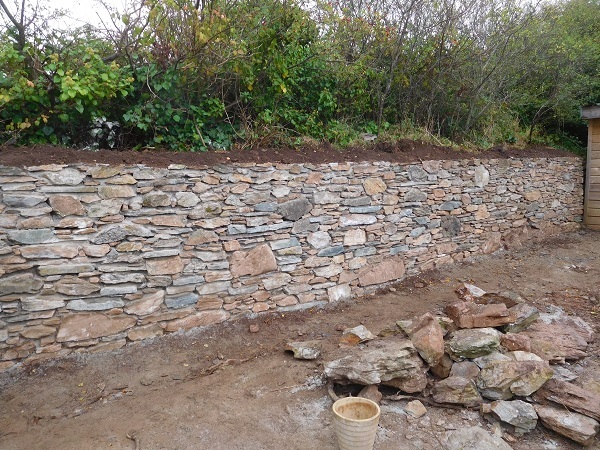 The wall was built using a traditional lime mortar and then backfilled with a lean mix concrete. 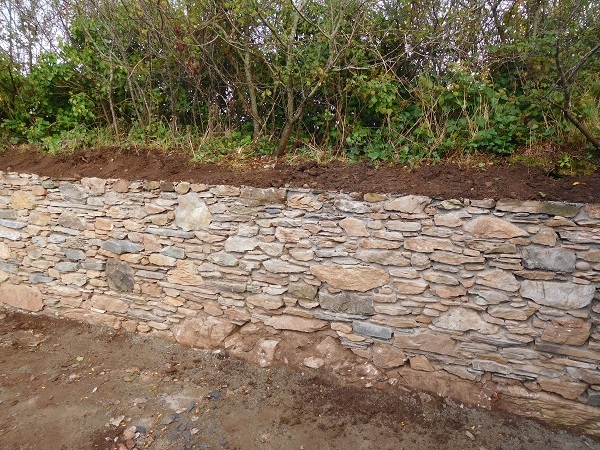 The jointing is kept well back from the surface of the stone to give the appearance of a dry-stone wall. 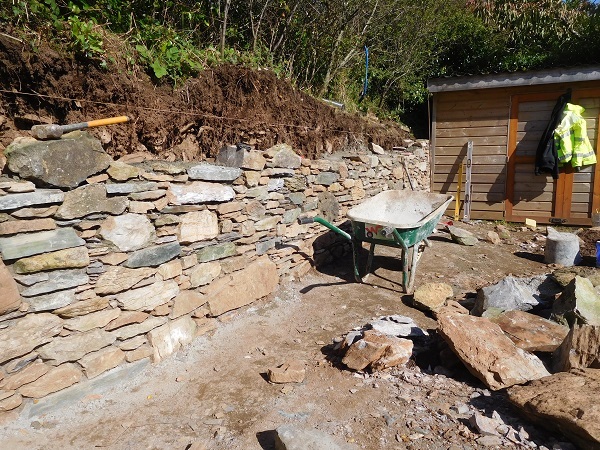 The wall was brought up to height and levelled off. 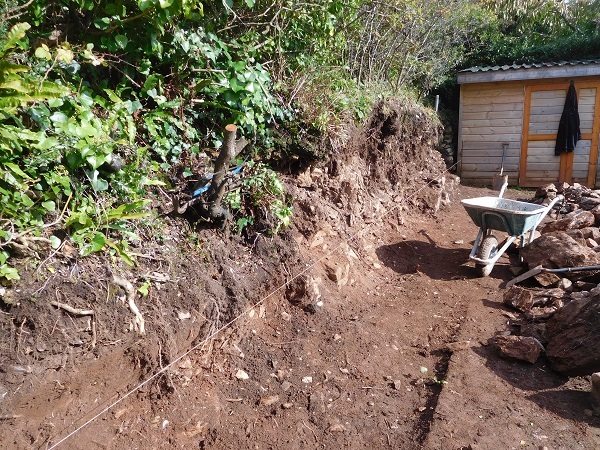 Soil was then placed on top. 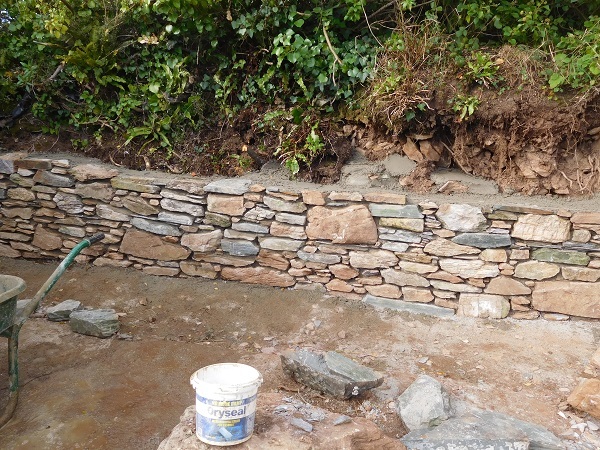 We have carried out other work here in the garden involving balustrades. 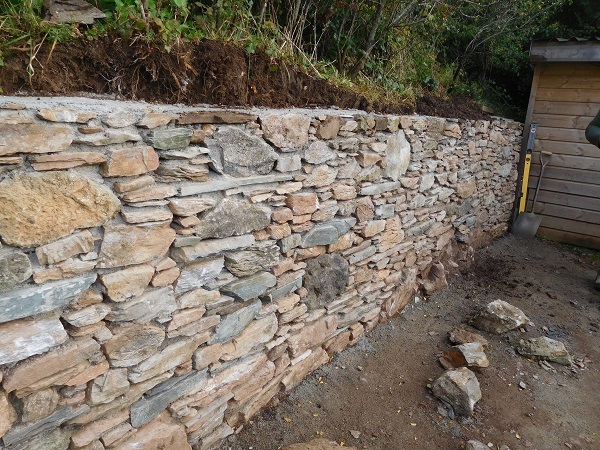 The stone is limestone and would of came from the nearby Radford quarry. 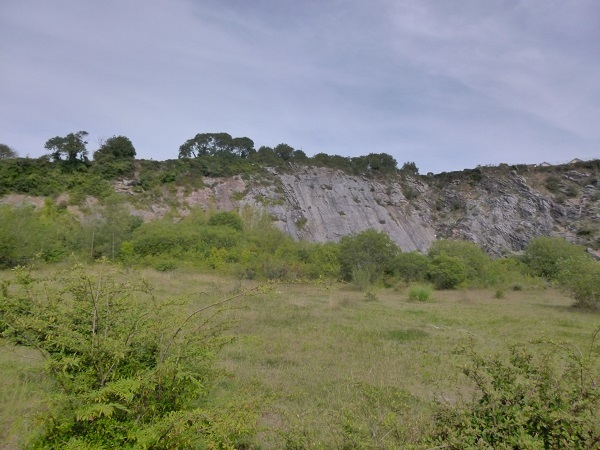 Originally part of the Radford Estate, Radford quarry was one of several working quarries in this part of Plymouth and stone had been quarried here from at least the early 1800’s. Radford itself has quite a colourful history. 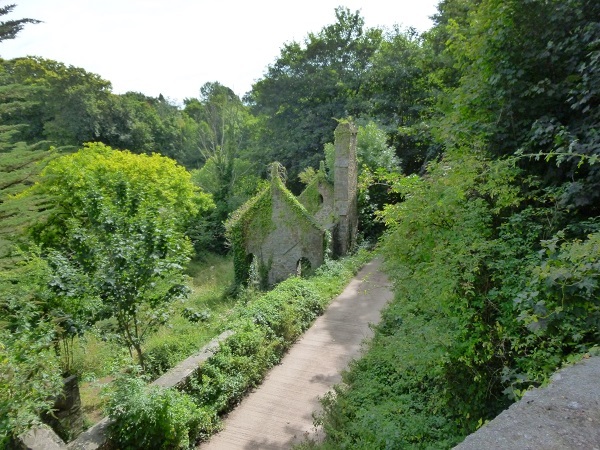 Around 1800 John Harris, owner of Radford House which was at one time one of the finest houses in England, had reached an agreement with the Duke of Bedford whereby they exchanged some lands to tidy up the boundaries of their neighbouring estates. The arrangement with the Duke gave Harris the land to the East of the tidal creek that ran up to Radford House. Around 1815 he built a dam across the Western end of the creek to create a permanent lake, fed by a small stream. 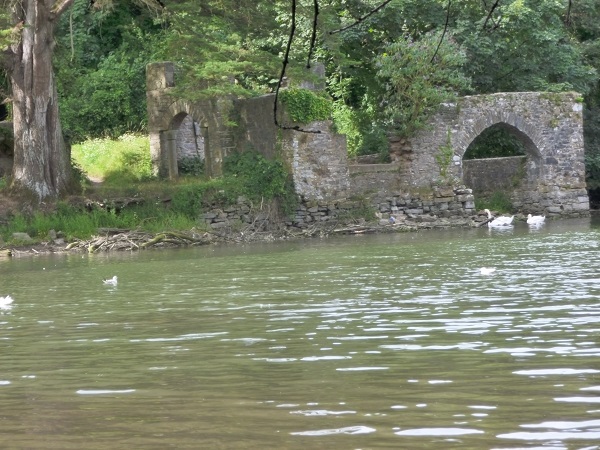 This lake would be used for pleasure, a group of buildings were built on the West side of the lake known as St. Keverne’s quay along with ornamental gardens and the lake was stocked with fish, water plants and wild fowl. St. Keverne’s quay consists of a couple of cottages, one called Armoury Cottage and the other called St. Keverne’s cottage. 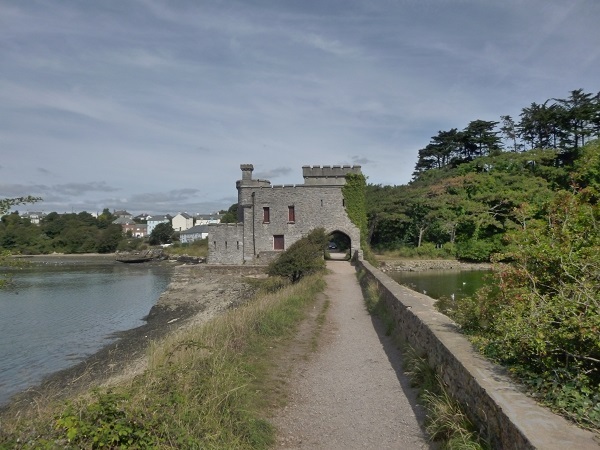 There is a boat house with a lodge and also a lime kiln. 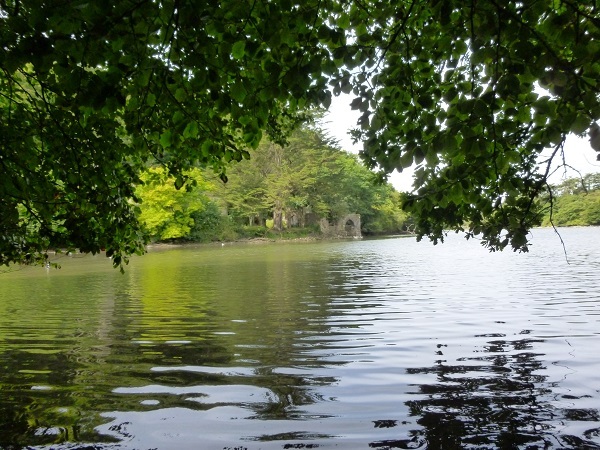 The boat house is known locally as ‘Drake’s boat house’. 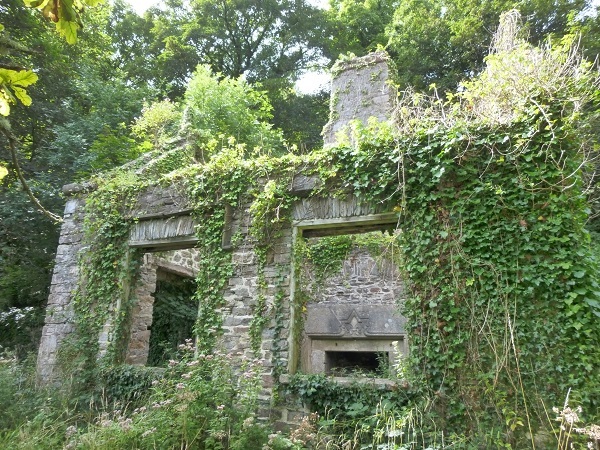 Radford House had been the seat of the wealthy and powerful Harris family since the mid 1400’s. 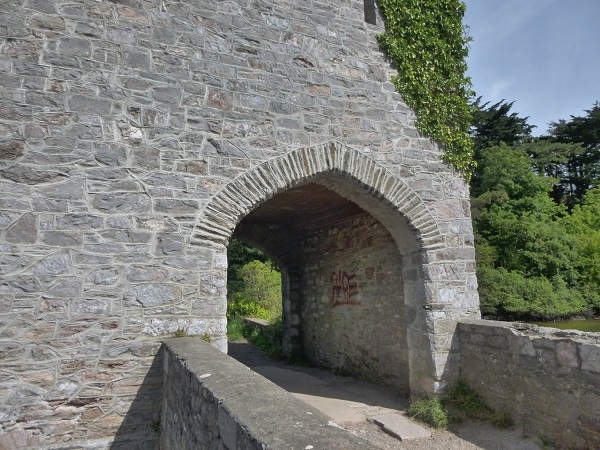 The Harris family had been very close allies to Sir Francis Drake and Sir Walter Raleigh. 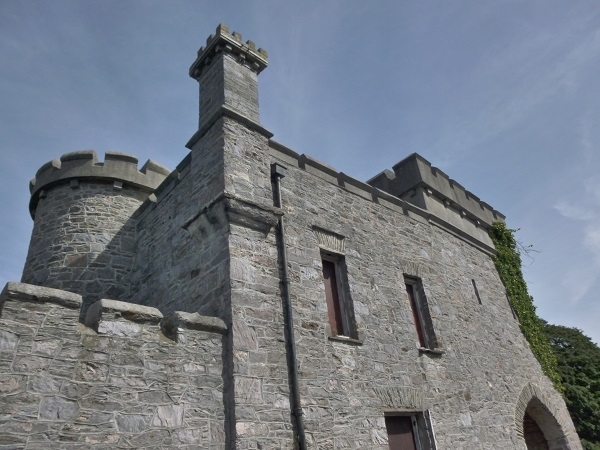 After being an important part of local history for more than 600 years, the house was completely demolished in 1935. 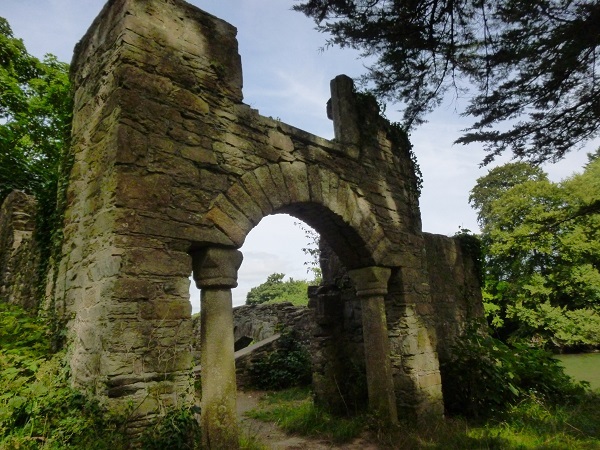 Built during the mid 19th century the ruins have some lovely architectural features incorporating dressed stone dating from the 16th and 17th centuries. 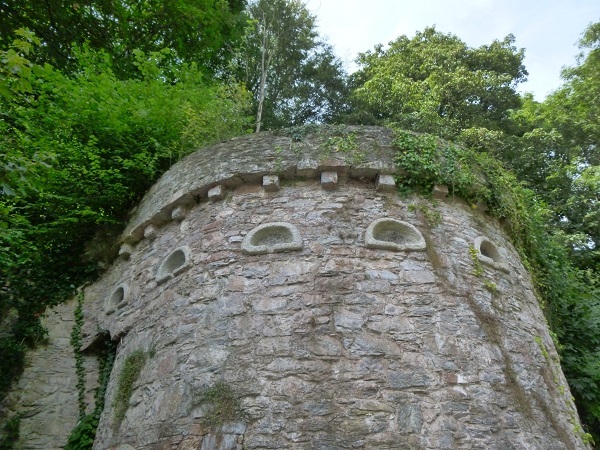 The picturesque lime kiln once used for the production of lime has mock features such as corbelled ‘machicolations’ along its parapet. 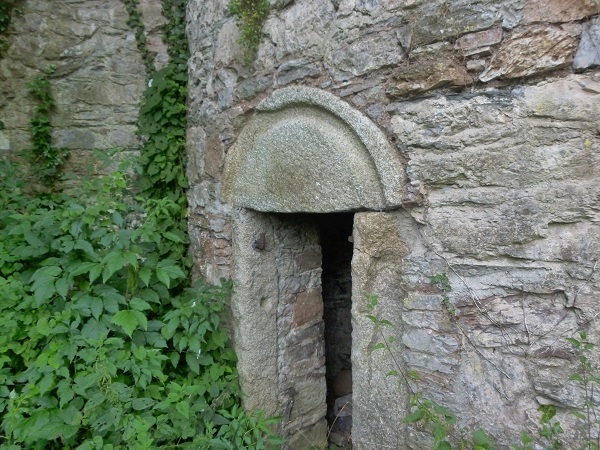 It also has part of an old granite apple press which has been used as a lintel over the door. 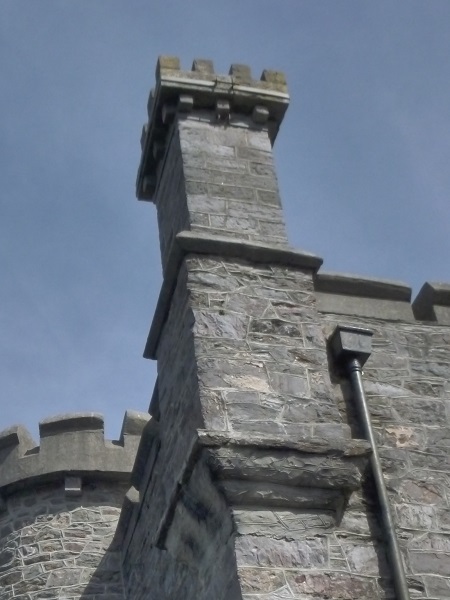 People were still living at Armoury cottage up until the late 1950’s. 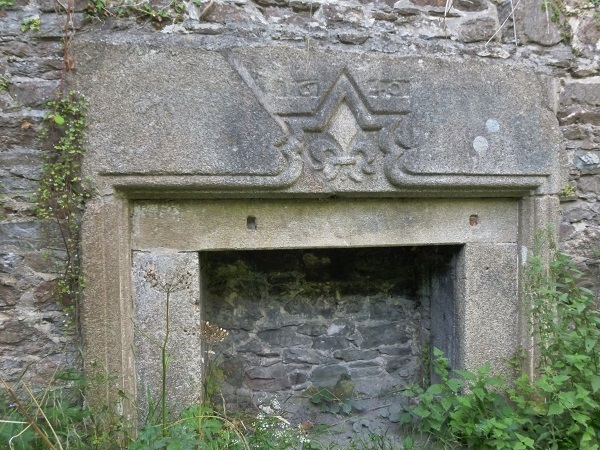 Armoury Cottage has a fireplace surround with a ‘Fleur-de-Lys’ carved into the lintel and dated 1640. 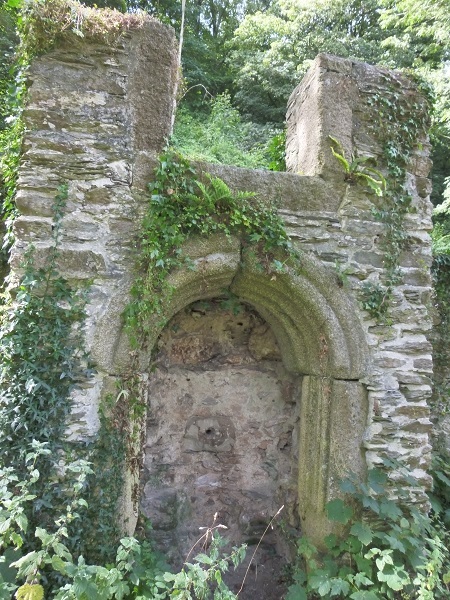 This fireplace had originally came from Radford house when the house had remodelling work carried out during the Georgian period. 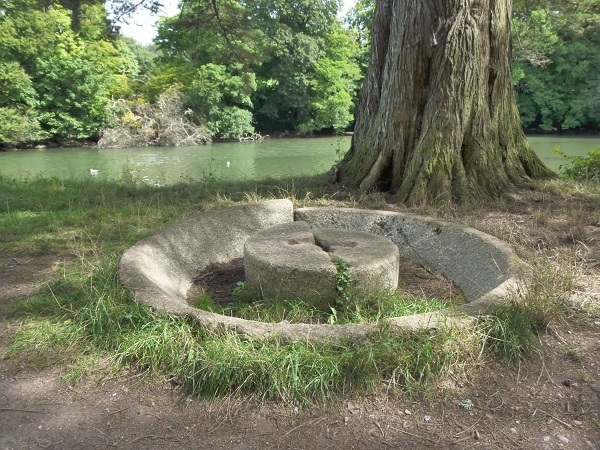 And no folly would be complete unless it had an ‘apple press’. 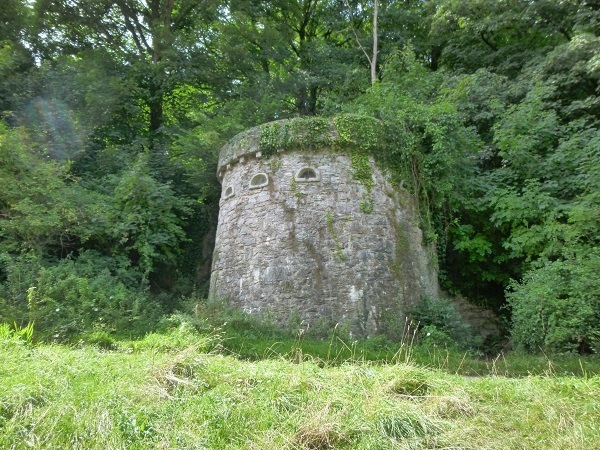 The dam across the creek was built with limestone from the nearby Radford quarry and embellished in the centre with a small mock gothic style castle. 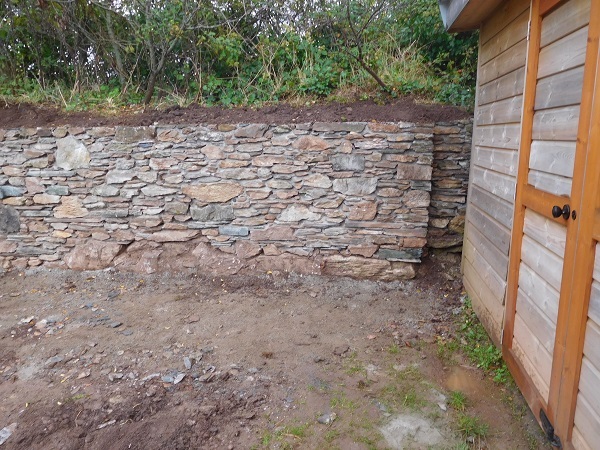 This was to be a cottage for the groundsman who controlled the main sluice gate which was built at the southern end of the dam. Opening the sluice gate would drain the entire lake so enabling cleaning and maintenance. In the 1930’s Radford quarry also facilitated the burning of lime on the site. The quarrying of stone stopped in 1964 but continued lime production up until 1974 after which the quarry ceased operations. 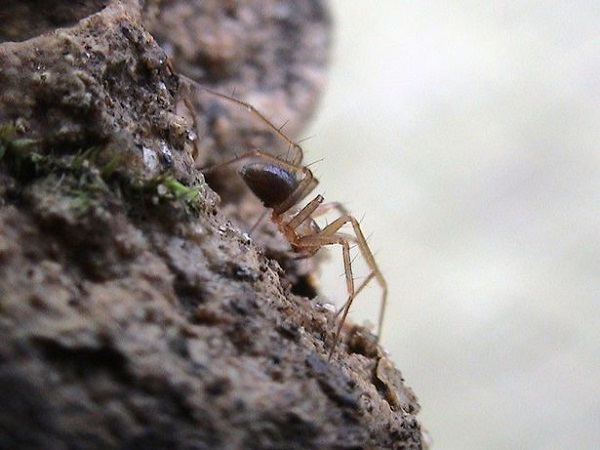 Today the quarry lies abandoned and is home to one of the rarest spiders in the world. Only discovered in 1989, it’s called the ‘Horrid Ground Weaver Spider’. Despite its name it’s only 2.5 millimetres in length and Radford quarry is the only known location on the planet where it exists. 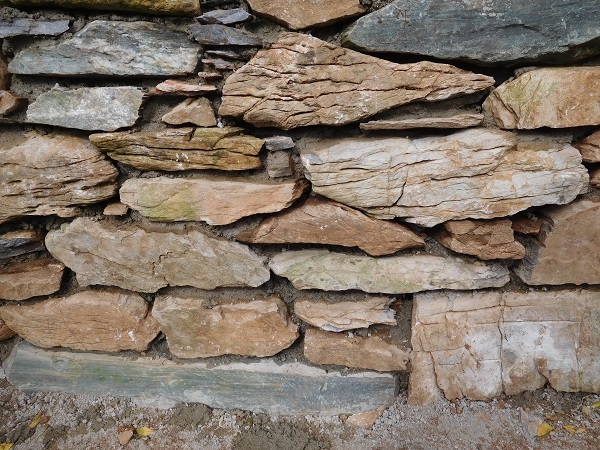 In 2015 plans to build 57 homes in the quarry by Wain Homes South West Holdings Ltd were rejected by the planning inspectors on the grounds that it would further endanger the spider which is already critically at risk of extinction. What a result for wildlife!